Sears said Tuesday it will expand its partnership with Amazon that allows people who buy any brand of tires on Amazon to have them delivered to Sears auto centers and installed on their vehicles. The ship-to-store tire program will be available at all its auto centers, after being introduced at 47 stores in eight metropolitan areas, including five stores in the Chicago area, in the spring. "The response from Amazon customers around this program has been extremely positive,” said Mike McCarthy, vice president and general manager of Sears Automotive, in a news release. My brother works at Sears headquarters in Chicago. You’ll be able to buy tires, batteries, Kenmore appliances, and Craftsman tools. At Amazon. Sears is closing all it department stores. Their main brand items, will be sold on line. There will be family owned Sears stores around the country. Selling the same items. Sears used to sell great tools with a great warranty, but not so any more. I quit on Sears when they refused to warranty my torque wrench. The ratchet head quit ratcheting, which is a simple fix. Now I just go to Harbor Freight and buy their disposable tools. Use them once or twice and throw them away. Used to be a Sears store on about every block and now their mediocre Craftsman brand tools are sold at Ace Hardware and are the same China made tools as everyone else. Craftsman tools, still warranty all their hand tools. Lifetime. That hasn’t changed. Even their lawn tools too. Ace hardware, Lowe’s, all carry that brand now. I just had a large 20 year old, lawn rake, replaced. Lawn hoses, Hose reals etc. No question asked. Harbor Feight, make garbage. What Craftsman doesn’t cover, is all their power tools. All my tools were bought at Sears store. Craftsman’s and other brand names. Craftsman hand tools, are forged, stamped, USA on them. Not made in China. Last edited by smark; 08-30-2018 at 08:57 AM. If you compare the quality of the current hand tools vs what they sold say 30 years ago, they aren't even in the same league. And I considered a torque wrench a 'hand tool' as it is not powered by anything other than my hands. When I purchased it back in the 80's it had a lifetime warranty for as long as I owned it. now they decided that they are 'precision tools' and not covered. According to Craftsman’s tool warranty. They do not warrant, any precision made of their tools. The warranty, or a lifetime product, is only good, if the company that owned it. Is still in business. Craftsman belongs to Black and Decker, Stanley now. Sears Holding, still, Obtains royalties, off of the tools still sold, by Ace Hardware, Lowe’s stores. 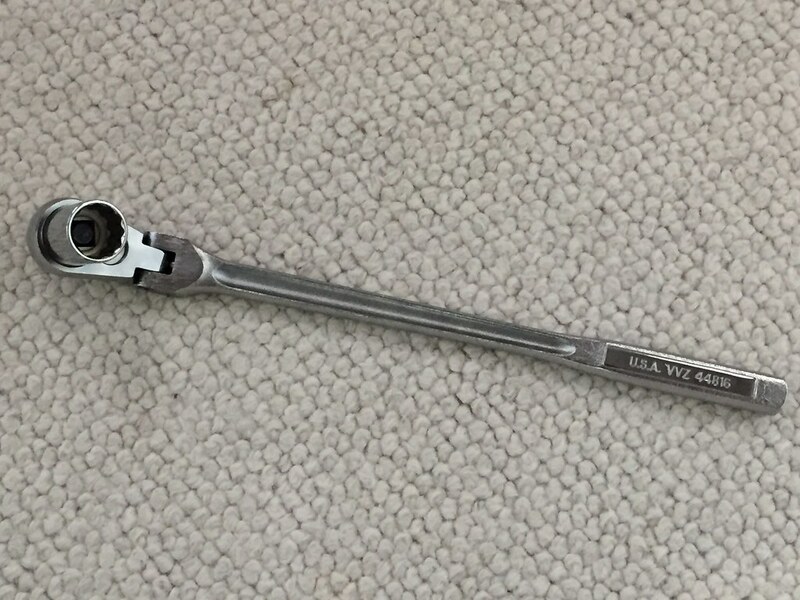 I reall curious how actuate a 10 buck Pittsburg torque wrench is, compared to a Snap On, MAC, Craftsman etc. Pretty much all tool makers, manufacturer their product in China now. Except Snap On. A few years ago, the U.S. company that made Craftsmen tools had their contract canceled. Sears tools from that point forward would be made cheaper in CHINA. Needing an outlet to sell to, they approached a large box retailer to see if they would be interested in carrying a line of tools of a known lineage. Home Depot not only said yes, but Hell yes. They are now sold at Home Depot nationwide. I do not remember now if they are the Husky or Ridgid but that is the story I hold in a Quarterly Meeting.